Erase all assumptions about Southern Arizona before reading on. Aside from the rugged mountains and saguaro cactus so iconic to the desert south of Interstate 10, the only clichés you’ll encounter are the ones you can’t let go of. Just hours away from Southern California by air or auto, Southern Arizona offers unexpected luxury, fascinating culture, spectacular scenery and diverse activities. 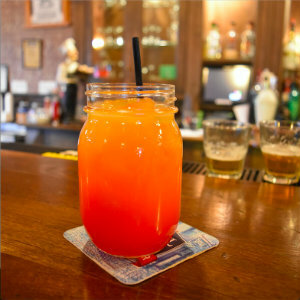 A long weekend spent here can include a visit to legendary Tombstone, home of the O.K. Corral; a hike from the desert floor to mountain forest at Ramsey Canyon; and surprisingly good wine tasting. Tucson is a familiar gateway town, but why not go deeper? 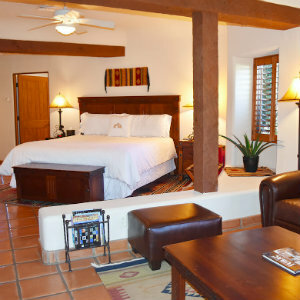 Begin your stay at Tubac Golf Resort and Spa just 45 minutes south of Tucson. This luxury resort sits in the shadows of the majestic Santa Rita Mountains, with towering cottonwood and palm trees scattered across the lush grounds. 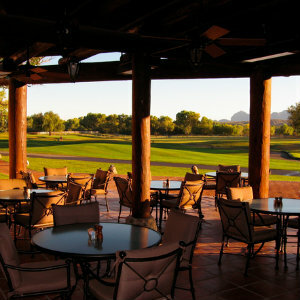 Once the site of the 500-acre Otero Ranch, the resort now features a 27-hole championship golf course, a world-class spa, fine dining in the Stables Ranch Grill, and 98 lavish suites and guest rooms. 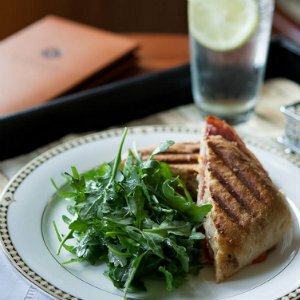 People come from miles around to dine at the resort’s Stables Ranch Grill. In addition to Arizona-raised beef, house specialties include such international offerings as pork schnitzel, vegetarian green curry, several Mexican dishes, and a dramatic tomahawk pork chop. Sunset views of the mountains from the restaurant’s patio adjacent to the greens make for a perfect ending to a full day. If you can pull yourself away from the resort, take a drive to Tubac, a small town with a big arts culture. Established in 1752 as a Spanish Presidio, the former army grounds now feature more than 100 galleries and art studios. Southwest style art is prominent, with everything from ceramics, to painting, textiles, sculpture, and photography. Tubac is home to the longest-running arts festival in the country, held each February, drawing art lovers from around the globe. A few miles from Tubac you’ll find the Tumacacori National Historical Park and the remains of the Spanish mission church of San Jose de Tumacacori. 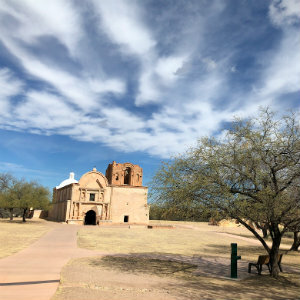 Not as elaborate as its sister, San Xavier de Bac which you could stop by on the way down from Tucson, San Jose de Tumacacori offers a peek into the history of the Native American peoples of Arizona before and after the Spanish expansion of the Southwest. Don’t expect a straight line driving through Southern Arizona. You’ll need a full tank of gas and drinking water in the car when heading toward a new destination in this desert. An hour or so east of Tubac you’ll roll into Sonoita, home of the first vineyard in Arizona. The Sonoita and nearby Elgin areas have exploded with vineyards and wineries, many of them producing award-winning wines of exceptional quality. More than a dozen wineries and tasting rooms dot the region’s wine map, providing a full-range of wine tasting experience. If you have time for only one winery stop, make it Kief-Joshua Vineyard in Elgin. Kief-Joshua offers a wide range of whites and reds, with consistent quality. Winemaker Kief Joshua Manning studied winemaking in Australia, having taken his undergraduate and graduate degrees in winemaking studies at the University of Melbourne, then came home to Arizona to plant grape vines and make wine. In respect to a holistic farming approach, Kief-Joshua vines are maintained pesticide and herbicide free using sustainable practices. 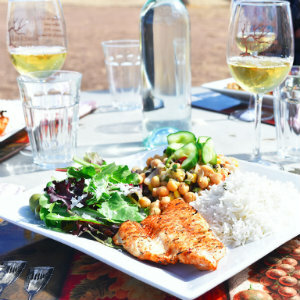 In addition to several wine-tasting experiences offered at the vineyard, if you contact them ahead, the proprietors will provide wine-paired meals inside or outside the winery, as well as host overnight guests through Airbnb. Round about now you’re ready for some dinner and another sleep. Head down to Sierra Vista for a stay at Sierra Suites, a boutique hotel with all the comforts of the road and a free, hot breakfast in the morning. Sierra Vista is the largest town south of Tucson, and its proximity to Ft. Huachuca army base ensures a variety of dining options. If you’re craving sushi or Japanese food, don’t miss Tanuki Sushi Bar and Garden. Just like the best sushi houses in Japan, Tanuki is cozy and filled with smiling cats, dogs, geisha, and other knack-knacks. The array of sushi selections, as well as traditional noodle soups and tempura, is exceptional. So is the taste. For another unexpected delight, try Pizzeria Mimosa in the nearby town of Hereford. 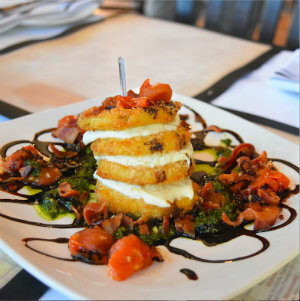 The name doesn’t do any favors for the food and the experience at Pizzeria Mimosa. Here you walk into the smell of garlic and freshly baked bread ravishing your senses. Pizzeria Mimosa is a full-service restaurant specializing in Neapolitan dishes, not only pizza. Appetizers, antipasti, entrees, and of course, pizza are creative, generous and delicious. Old West history buffs will find plenty to see and do throughout Southwest Arizona, including a visit to a Western film set called Gammons Gulch, where proprietor Jay Gammons provides tours while sharing personal stories from his days as a movie extra on Western film sets. Gammons Gulch is quaint with movie mementos, but down the road in Tombstone is where real history happened. Time seems trapped in the imagination of Tombstone residents and visitors, with everything about the O.K. Corral and the gunfight that made the place famous commemorated from sundown to sunup seven days a week, including a live-action shoot-out, staged for your amusement at a recreated O.K. Corral outdoor theater. 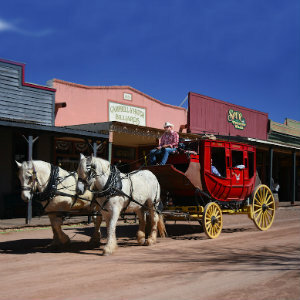 A fun way to learn about other history and aspects of the town and some of its charming and or notorious residents is from a narrated ride on one of the red stagecoaches from Old Tombstone Tours. More sleuthing through history, both ancient and recent, lie just miles from Tombstone. The Amerind Museum sits at the base of a mountain among massive boulders strewn about like marbles. Founded in 1937, to research and educate visitors about the ancient peoples of the Americas, the museum is the public face of a research foundation that has excavated hundreds of native American artifacts through the years, many of which are displayed in the museum. The Titan Missile Museum is an educational memorial to the Cold War’s reliance on nuclear missile technology to avoid mutual assured destruction. Visitors here can don hardhats and descend 35 feet into an underground missile silo, then visit the launch control center and set off a simulated missile launch of the missile. Those seeking an active getaway might consider a stay at Tombstone Monument Ranch, just a few miles outside Tombstone. Rather than a working dude ranch, Tombsone Monument Ranch has recreated the experience in an all-inclusive property with 18 charming theme rooms, a saloon, a dining hall, stables with horseback riding activities for all riding levels, shooting range for guns and archery, and hiking trails. Did I mention this is all-inclusive? Southern Arizona is a hiker’s dream. The mountains that make such a dramatic landscape are criss-crossed with trails for off-roading, motorcycling, mountain biking, and hiking. Over at Ramsey Canyon Preserve you can take a hike from desert to mountain forest in about an hour. Renowned as the only place on earth where as many as 15 species of hummingbirds can be found, hikers can also spot dozens of rare birds and other animals. The views along the hike and from the peak are spectacular. After hiking to the top of a mountain, consider going deep into the earth at nearby Karchner Caverns. Truly a miracle of modern exploration, Karchner Caverns weren’t discovered until 1974 and were kept secret until 1978 in order to maintain the security of the living structures within the caves. The state of Arizona purchased the caves from the property owners in 1988, but the caverns weren’t opened to the public until state-of-the-art preservation materials could be installed to ensure the preservation of the living cave formations. Karchner Caverns opened as an Arizona State Park in 1999 and now offers guided tours into two main caverns. Carolyn Burns Bass is a California native who moved to Hillsborough, North Carolina to experience the seasons. She writes for a variety of travel publications. Follow her on Twitter at @CarolyBurnsBass or visit her website at www.carolynburnsbass.com to read more of her work. 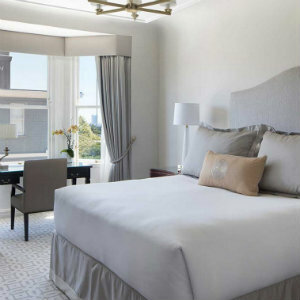 Hotel Drisco, the perfect Pacific Heights neighborhood hotel in San Francisco, just completed a major renovation and for a luxury boutique hotel, you'll love the complimentary amenities. The refreshed guestrooms and suites, many with sweeping views of San Francisco, are tastefully appointed with new custom-designed furniture and vanities, carpeting, window treatments, light fixtures and sound insulation upgrades. Nearly all guestrooms have increased square footage. Guest bathrooms feature radiant floor heating, marble details, lighted fog-free vanity mirrors and walk-in showers. Additional enhancements include a beautifully appointed new high-speed elevator, renovated Dining Room and Boardroom, new hallway art and lighting, and updated carpeting in public areas. With a focus on providing a compelling value in a luxury environment, the Hotel Drisco offers many complimentary amenities including a gourmet continental breakfast, an evening wine reception with local artisan cheese and charcuterie, 24-hour coffee and tea service, chauffeur service on weekday mornings, HD-streaming quality WiFi, neighborhood parking and bikes to borrow for cruising town like a local. Eco-friendly touches include custom glass reusable water bottles, a new state-of-the-art radiant hydronic heating and cooling system, and new double-pane windows providing sound and thermal insulation. Additionally, 24-hour room service is available for guests who wish to stay in to relax and enjoy the comforts of their guest room. For the holiday’s all 16 suites will feature miniature decorated Christmas trees. Additionally, mulled wine and Christmas cookies will be available daily in the Sitting Room. Starting rate for the suites in December is $579. The stunning and historic 1903 Edwardian boutique hotel will also be decorated throughout with holiday cheer. 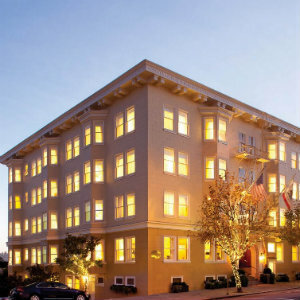 The Hotel Drisco is at 2901 Pacific Avenue in San Francisco. 415.346.2880 or toll-free at 800. 634.7277 or visit hoteldrisco.com.